Chad Varah House's North extension is beginning to take form with the roof being fitted for the penthouse terraces. 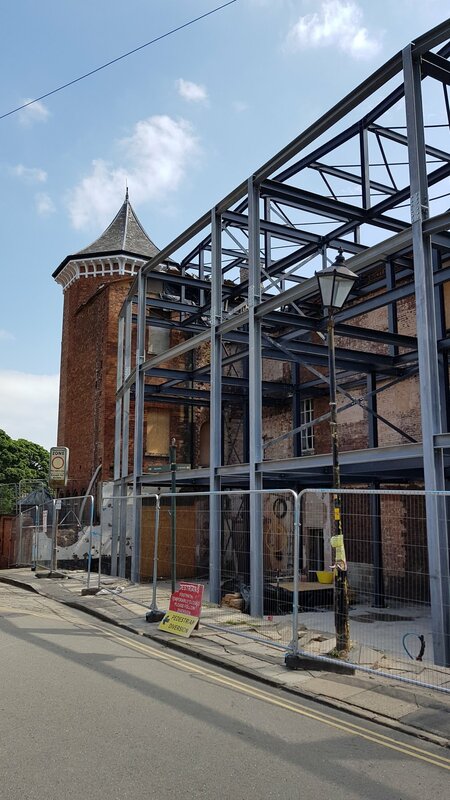 Chad Varah House's steel frame has been erected and has begun to give a sense of scale to the new North extension. Finally finishes are beginning to emerge and our bespoke kitchen is finished. The apartments are further along, Silestone shower trays are beginning to arrive on site and the turret is being boarded. More of the apartments plastered and painted, the concrete slab has been laid for the new northern elevation and some landscaping has begun.